It was an interesting weekend at the races. If you didn’t see yesterday’s Malaysia Grand Prix, it was a controversial one. 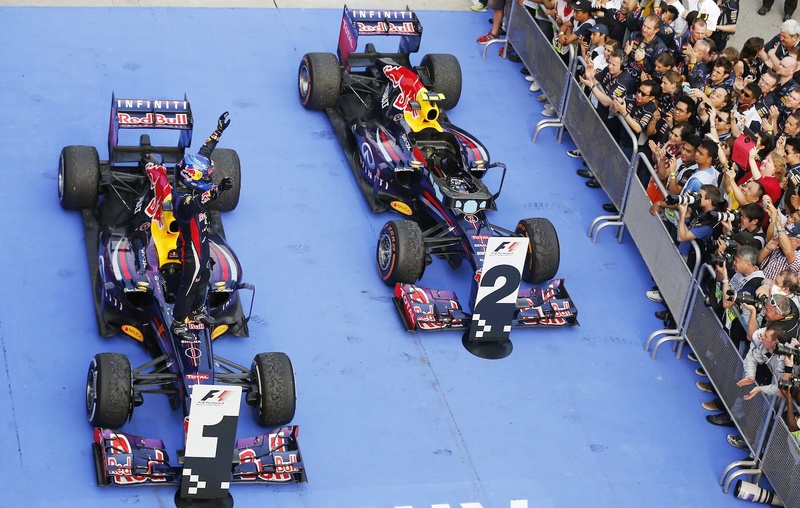 Sebastian Vettel and Mark Webber of Red Bull Racing took first and second, respectively. Here’s where the controversy comes into play. Vettel was running in second place after Webber switched to dry tires. The Red Bull boys were told to hold their positions to finish out the race. Vettel wasn’t pleased as he claimed Webber was going too slow and charged to overtake Webber. The two battled it out in the 46th lap. Despite team radio commands telling him to stand down, Vettel took first place at the checkered flag. Can you really blame the young German? Both winning and following orders are in his blood. He must have suffered a terrible internal conflict during the race. On a more amusing note, Lewis Hamilton had a bit of a slipup during the race before finishing third. Hamilton, who just recently joined the Mercedes team since having driven for McLaren since he was tall enough to reach the pedals, mistakenly pulled into the McLaren pits instead of those of the Mercedes team. All in all, it was an exciting race and final battle for first place. 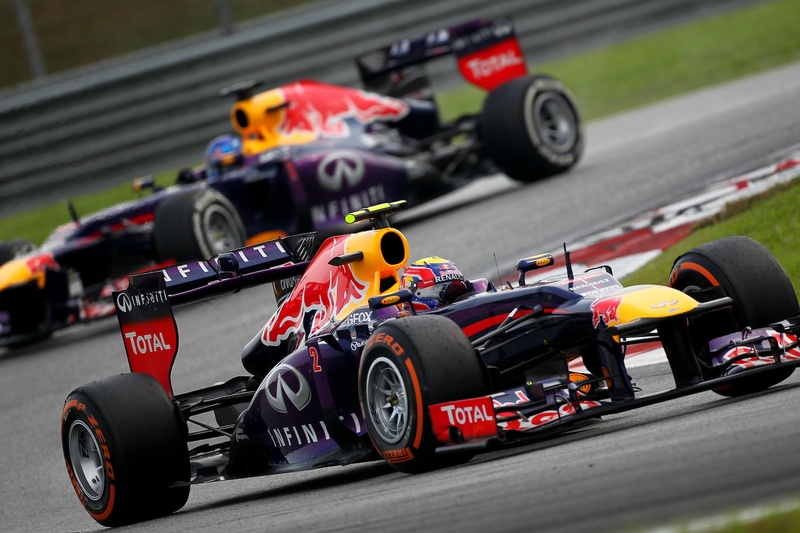 In the end, both Red Bull drivers finished ahead of the pack despite an internal conflict. Next stop: Shanghai. If you were in the driver’s seat and thought you could win the race despite being told to stay put, what would you do? Hold or go for the win? Comment below.